WE BUY ANY HOUSE, IN ANY CONDITION… FAST! Want to sell your house fast, with no fees, no agents, and no commissions? 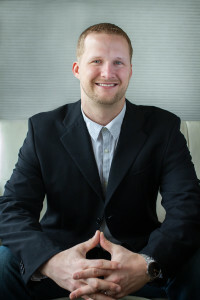 Do you have a house that needs to be sold in Houston? Texas Home Offers of Houston will buy it from you in just 7 days! Give us a call at 713-352-8436 or fill out the form today to receive a FREE, non-obligation offer. We guarantee to provide you with a fair offer—and what better than CASH? Working with us means no fees, no agents, and no wasted time or added stress! Don’t let your situation get ugly. We’ll take care of the hassle for you! So you had a home for sale in Houston, Texas and you haven’t had a prospective buyer with a reasonable offer. You’ve spent a large part of your time trying to sell a home that doesn’t get any bites. Texas Home Offers of Houston is the solution to your problems. 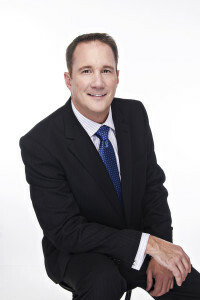 We buy homes in the Houston, TX area, ensuring a quick return on your investment. We pay CASH for all properties in the following neighborhoods, Corpus Christi, Dallas, San Antonio, Austin, Sugarland, Richmond, Katy, The Woodlands, Oak Ridge North, Manvel, Pearland, Allen’s Landing to Galveston and beyond. Texas Home Offers of Houston knows the Houston real estate market like no one else and will buy your home for cash. We provide you the solution to your real estate problems, because we purchase your home as-is—no need to fix repairs. We buy houses in any condition and for any reason… Now, doesn’t that sound great? You don’t need to go and fix all those repairs, you don’t have to take the furniture out or paint—we can buy it just the way it is. Don’t spend thousands of dollars staging it, don’t spend thousands of dollars on repairs, and don’t waste your precious time holding open houses that lead nowhere. We can give you cash for your home in as little as 7 days! We make it our job to give you a fair and firm offer that will satisfy your needs and help you out of your bind. We guarantee there is nothing to lose yet so much to win. Working with our team will simplify the process, and in just ONE WEEK, you’ll have CASH for your home! We know that selling your home is never easy, and it’s often the last resort to get out of financial stress. It doesn’t matter if you lost your job, you need cash to pay your bills, you have to pay court costs, or you’re facing bankruptcy, we will be there to give you the cash you need for your home, in just as little as 7 days. When you choose to work with us, we’ll buy your home quickly and handle the daunting details of it all. In addition, we’ll give you more value for your home than any other company out there. We have been doing this for many years and helped many homeowners, just like you, who were in a bind and needed a way out. Let us help you too. Traditional realtors have many limitations when it comes to selling your home, but Texas Home Offers of Houston doesn’t have those limitations, because we the house straight from you and for cash. You don’t have to pay closing costs, real estate commissions, or any other type of fee. If you have never sold a home in the past and don’t know the ropes of this stressful and drawn out process, or you’re running behind in your payments and forced to sell it due to foreclosure, we can give you cash for your home to help you out of your bind. You can avoid scheduling meetings with agents and potential buyers, avoid spending time negotiating back and forth, and avoid spending cleaning and arranging the property. Don’t worry about fixing any issues to bring your house up to date—we can buy the house right off your hands, regardless of the condition it’s in right now. Isn’t that great? At Texas Home Offers of Houston, we can offer you a quick and simple solution to the current nightmare you’re living. We can provide you with a simple and fast offer and it’s up to you to decide whether it works for you. If it does, we’ll quickly give you cash for your home and the solution to your problem. We’re always available and you can call us and ask us anything. Why go through the stress of selling all on your own when you can let us take over and handle it for you? The process of selling your home can be challenging, especially for someone who doesn’t have experience, is emotionally attached, or is facing urgent financial problems, and this is why we can help you out of this bind. Texas Home Offers of Houston will make sure you get the best value on the market. 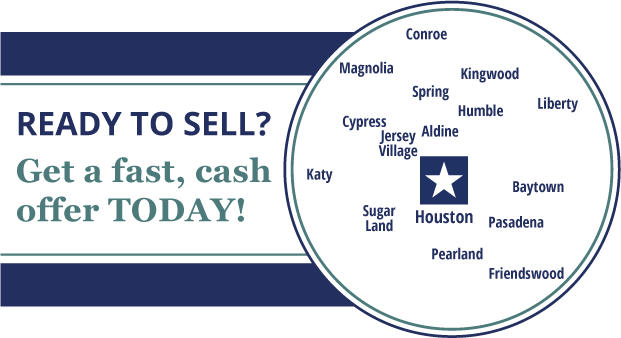 So instead of listing your property with real estate agents, which can take months or years to sell, let Texas Home Offers of Houston give you a simple and FAST solution, ending in CASH in just a week! Don’t wait until the bills and stress pile up, you don’t have to fix your property or waste your precious time—simply call our dedicated team today at 713-352-8436 or fill out this simple form and we’ll get back to you very quickly. We can guarantee you a fast settlement that is hassle-free and convenient. It is a win-win for everyone and there are no out of pocket costs for you. If you are looking to receive cash for your home, then Texas Home Offers of Houston is the place to turn. Let us help you—don’t wait another day! © 2019 Texas Home Offers. Website by Lightmark Media.